We hope that you will find among these pages all the information needed to plan your next holiday to Greece. We have tried to be both concise and comprehensive, and we have included some features especially for first-time visitors to this beautiful country. Our “frequently asked questions” section is designed to be both helpful and instructive, and we believe that it covers the most important aspects for choosing your destination and planning your trip. In the event that we have overlooked something, we would love to hear from you with your comments and/or suggestions. And, of course, if there is any question that you may have about the contents of the site, or a destination within Greece that is not included here, we hope that you will contact us for more information. We are accredited by the Greek National Tourism Organisation (GNTO- License Nr 1173E60000040101) and a member of the Hellenic Association of Travel Agents (HATA. 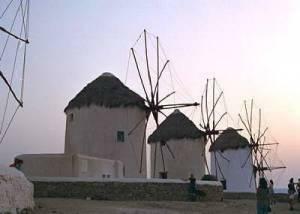 Between our offices on Mykonos and Tinos, we have managed to expand our activities; our range of services is now offered not only for Mykonos and Tinos, but throughout the entire country, both islands and mainland. 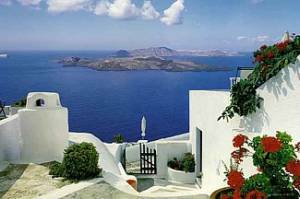 Our services extend to all of the beautiful and most popular parts of Greece, including Crete, the largest island of Greece, where the very first steps of European civilization were taken; the sunny Dodecanese at the southeastern part of the Aegean Sea (Rhodes being the most important destination, with Kos following closely in its footsteps); the green Ionian Islands, with the richest cultural tradition in modern Greek history (mainly represented by Corfu); and finally, the most traditional part of Greece, its very core, the Peloponnesus peninsula. One of our main areas of activity is representing foreign tour operators and travel agencies, primarily from all of the European countries, and the U.S.A. We work closely together in producing a successful tailor-made marketplace. Furthermore, every season we take a number of properties (some 900 beds) on Mykonos Island to manage on a Commitment Basis (exclusive management rights). During the season, we are responsible for providing services to the clients of our collaborators, such as handling and managing their reservations, transfers, tours, and ticketing. We also provide office facilities to their resident Representatives and assistance with Airport and all other Civil Authorities. Utilizing our own vehicles, as well as collaborating with the Destination\\\'s bus companies, as well as the "limo"companies. From an antique luxury car to a Mercedes or to anything requested. Organizing of incentive trips; VIP private tours; private plane, helicopter and yacht chartering; villa renting; exclusive cruises, etc. – just name it – we do it! Another major aspect of our business is specializing in tailoring individually organized trips for various groups of clientele with special needs, such as honeymooners, senior citizens, incentive trips, etc. One of our main areas of specialization is the Gay Market, which forms a very large portion of the clientele on the island of Mykonos. We offer accommodation in carefully selected gay friendly establishments, and all other necessary services such as transfers, as well as advice on where to go and what to do. Through the hard work of our specialized Gay Department in this field, we have established ourselves as the leading Gay Travel Specialist in Greece. We are a proud, fully accredited member of the International Gay & Lesbian Travel Association (IGLTA). If you have any questions or comments, please don’t hesitate to contact us at Windmills Travel (info@windmillstravel.com). (Or phone +30 22890-23877). Our experienced staff are professional, courteous, fast, multilingual and efficient; and we are here to serve all of your travel needs here in Greece or abroad.